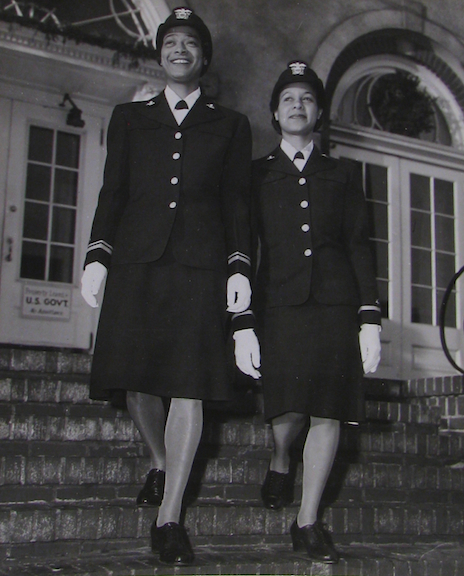 Graduation day for Lt. Harriet Ida Pickens (left) and Lt. Frances Wills (right), the only two African American women commissioned as officers in the WAVES during World War II. Their graduation was 70 years ago, December 21, 1944. The photograph comes from the National Archives.